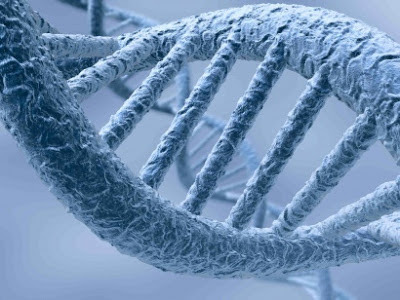 Does the existence of DNA destroy the evolutionary model? Dr. Reagan: Mike, DNA is so complex as I understand it. Even Bill Gates has said DNA is more complex than anything he's ever been able to program. How can a person continue to believe in Evolution with the evident complexity of DNA? Mike Riddle: First of all, the discovery of DNA from just what we know about DNA has demolished Evolution. The problem is that this fact is not being told in the educational systems. Students are being told a whole different story about DNA and how it supports Evolution. But, it doesn't. You know the mechanism for Evolution in that how it works depends on getting random mutations. Then through a series of random mutations there is a selection process that selects only the beneficial ones. There are some problems with that theory that we are not being told. First of all, mutations do not add new genetic information. They tend to take positive traits away or maybe keep them neutral at best. But, mutations have never been known to create new information, and therefore new and superior life. In talking about information, let's take a look at just one DNA molecule. When we compare that to our modern computer hard drives, the compactness of the information in just one DNA molecule is over 5 billion (that is with a "B") times more compact than any hard drive that we have today. That's incredible! And, where did that vast amount of information come from? Well, let me give you one of my best examples that I think really support design and a Creator God. 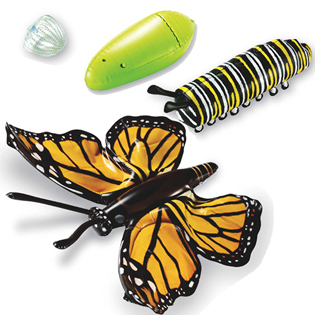 Let's look at the monarch butterfly. I love that creature. Monarch butterflies starts off as a tiny, tiny little worm (the technical term is larvae), and in about 20 days it grows to maturity, reaching almost two inches long. Once it reaches maturity, it finds a special leaf and builds a silk pad on the bottom of that leaf. Then it connects itself and hangs in a "J" position. After a while you can start to see this caterpillar move, and when it starts to move it's going to build a chrysalis. It builds it from the head back. And that's not yet what is amazing. What happens next is amazing! Once that caterpillar is in its chrysalis, the entire caterpillar except for the heart dissolves into a green liquid. Let me ask you a question here, this will be like a homework assignment question. Go home tonight. Turn yourself into a green liquid. What are you going to do next? That's it, you're done, unless of course somebody who is all intelligent pre-programs information into your DNA so that you can reassemble yourself. This is called "pre-programmed information." Even if Evolution worked, it can't do because if Evolution worked it can only work for the here and now, it cannot see into the future for its mutation needs. So, I think the monarch butterfly is a great case for the design and intelligence of a Creator. Dr. Reagan: Basically you're saying that the DNA has demolished Evolution as a theory, and yet people cling to it because they close their eyes to the evidence? Mike Riddle: Yes, they close their eyes. And, also because they are not being taught the truth about what DNA is all about. Dr. Reagan: It reminds me of the book that came out recently by Ray Comfort with the title, You can Lead an Atheist to Evidence, But You Can't Make Him Think. Mike Riddle: That's true, we're not being taught critical thinking skills anymore. Nathan Jones: That reminds me of Romans 1:21, "For although they knew God, they didn't glorify him as God or show gratitude. Instead their thinking became nonsense and their senseless minds were darkened." They willfully wanted to be ignorant. That's being dumb on purpose. Mike Riddle: Right. What I like to teach is critical thinking skills, which we do in my classes. I give everybody three questions to ask when they are confronted by the Evolutionists: How do you know it's true? Has it ever been observed? So then, are you making any assumptions? 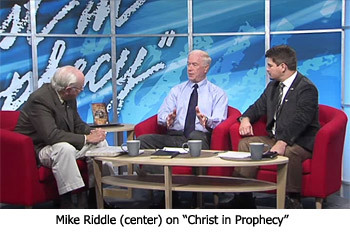 In the eighth segment of this Creation training series with Mike Riddle, he'll explain why the fossil record destroys the Evolutionary model. The Monarch butterfly could be used as an analogy of we who accept Christ. We exist in the form of ugly sinners (the catapillar) then accept the gift of mercy of Christ (our old selves die in the chrysalis and are transformed) then we emerge as new beautiful beings via the salvation of our Lord. Mutations are random noise; they do not add information. Evolution cannot cause an increase in information. •Two enzymes in the histidine biosynthesis pathway that are barrel-shaped, structural and sequence evidence suggests, were formed via gene duplication and fusion of two half-barrel ancestors (Lang et al. 2000). The biological literature is full of additional examples. A PubMed search (at http://www.ncbi.nlm.nih.gov/entrez/query.fcgi) on "gene duplication" gives more than 3000 references.